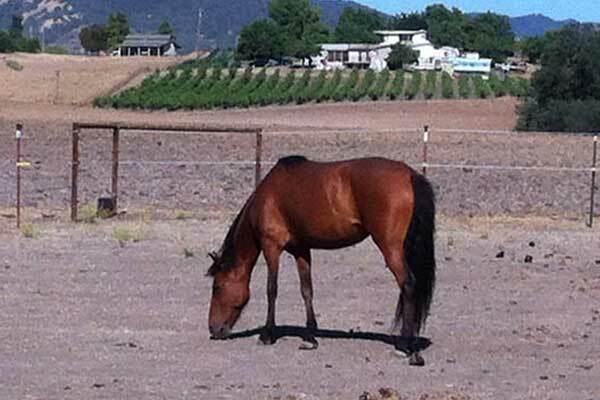 Rosie came to us in 2013 after being rescued and nursed back to health by a soon to be friend of Morning Star. Lydia had just moved to the area when she noticed a cute, fat, lame, little pony that came regularly to her fence line to hang out with her horses. Lydia noticed the pony’s feet were severely overgrown and painful. She began to ask around, trying to find out who owned this darling neglected pony and was told the owner was an unsavory character she was better off staying away from. Undaunted, Lydia started caring for the pony’s feet, as she had previously studied about barefoot trimming. Little by little, improvement was made. The pony was clearly afraid, but also clearly in need of help. She chose to trust and was trimmed 4 times without a halter! Two months later the grass had started to come in thickly. The pony came to the fence and laid down for nearly 24 hrs. She was not sick but she was having a laminitic crisis. 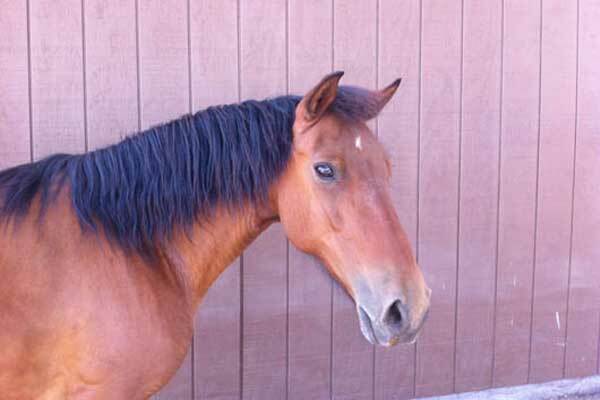 Laminitis is inflammation in the hooves’ sensitive structures, is extremely painful and can cause the coffin bone to rotate out of the bottom of the hoof. Out of desperation, Lydia found a way to call the pony’s owner. He told her he could do nothing until the weekend and then he would come shoot her. Lydia asked for permission to give the hurting little pony some pain medicine. He allowed it, and then asked Lydia if she wanted the pony. She neither wanted nor needed a pony, but said “Yes” immediately! 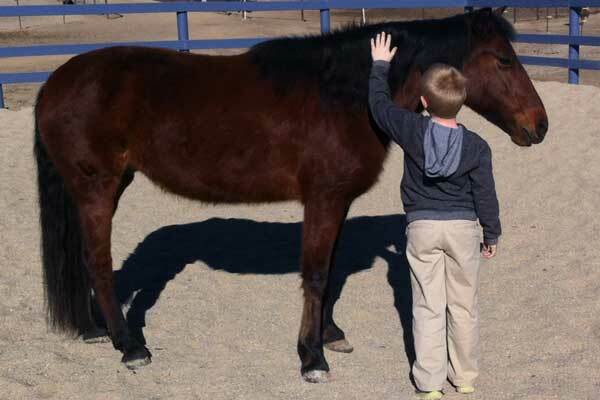 Lydia cared for this sweet pony for two years until she was ready for a new home where she would be loved and enjoyed. She was donated to Morning Star and is slowly being integrated into our program. She is happy and content and her days of neglect are far behind her.